When I began teaching high school science, I was a terrified 22-year-old. I had graduated college only 3 months prior. I had been married for a month. On that first day of school, the students walked through the classroom door and looked for their new teacher. They couldn’t find her. Although I stood at the front of the room wearing my ridiculously thick glasses and completely unfashionable wool blazer, they didn’t realize that I was the one who was supposed to be leading their class. I have always looked young. As a child, this was a burden as I’d be (temporarily) banned from doing age-appropriate activities when adults did not believe my age. I was assured multiple times that one day I would be grateful for my youthful looks. And then… I think I skipped that part of my life. I went from looking too young to looking exactly my age. The wrinkles showed up one morning. The age spots appeared out of nowhere. The white hairs… I can’t even begin to discuss the white hairs that just keep coming. A few months before my 40th birthday, I resolved that it was time to start caring about my appearance. At least a little. I was going to treat myself to a birthday gift of a makeover and buy some nice cosmetics. I’ve never worn makeup for a variety of reasons: My mother doesn’t wear makeup (and she is my super hero), I often read about all the ways that makeup is damaging to your skin, blood, eyes, etc., I have sensitive eyes and lips and even lip balm can give me allergic reactions, and quality makeup is really expensive! My birthday arrived, but instead of going to the Sephora store, I got sick. Then I went on vacation. Then school started. The resolution that I had to look gorgeous just wasn’t happening. So a few weeks before winter break, I went online in an attempt to find nice makeup that didn’t require a trip to the store. I asked my gorgeous sister for advice. She told me what she wears and then asked me to bring whatever I bought with me when I visited for Christmas. I needed my new “beauty in a bottle” to arrive before that trip, so I held my breath and clicked “purchase” on over $100 worth of products from Tarte. I went to Amazon and bought some (Amazon affiliate link) cheaper alternatives with which to compare. I signed up with Ipsy to try out some new items. I even finally got myself into a Sephora to have myself made up. 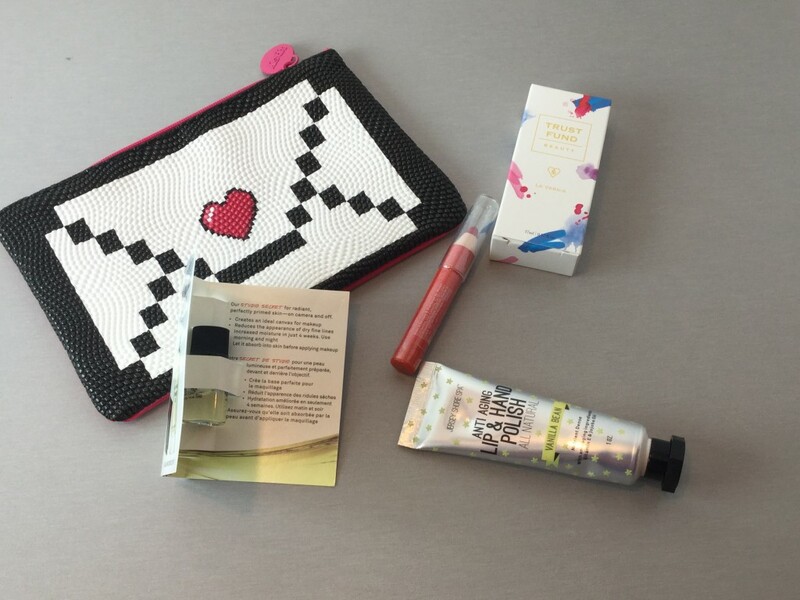 One month of Ipsy goodies. The problem with my makeup attempts? I couldn’t find a middle ground! Either I looked like I had been smeared with war paint by the professional, or I looked too natural when I tried to lightly apply makeup myself. So I have concluded that I will never again look 20. And that’s okay (if not a little disappointing). I will keep my makeup routine simple with concealer, CC cream, and mascara. I will drink lots of water. And I will smile. Because isn’t that what truly makes us look gorgeous? Comment below and tell me if you wear makeup. If so, what do you recommend? 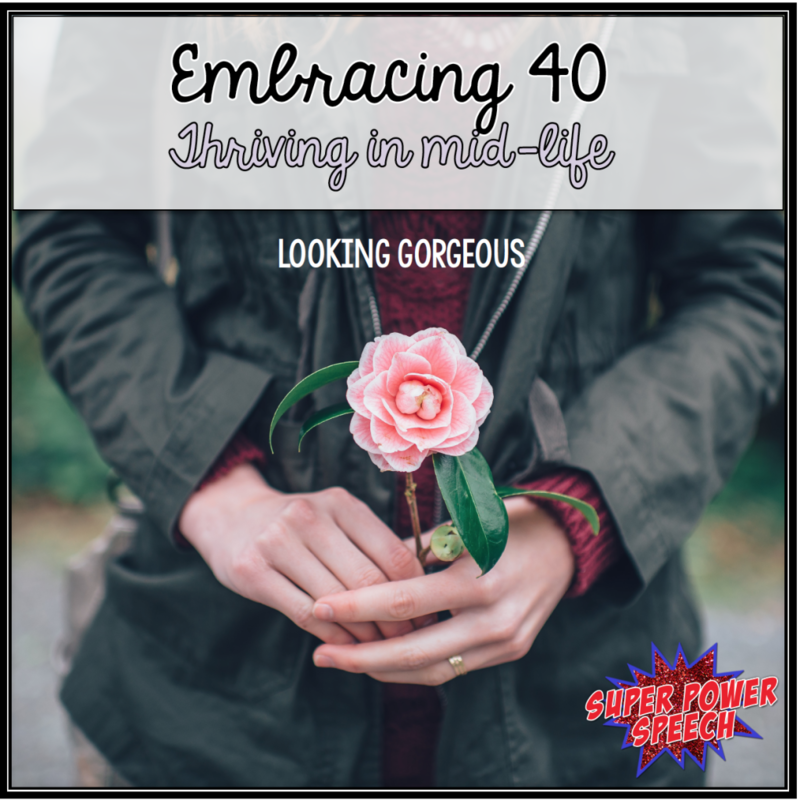 Are you also embracing 40 and beyond? Check out all of the posts in this series here. I wear some makeup, but when I was a young girl, my grandmother’s older sister, who had been a Avon type makeup sales lady (wasn’t Avon, but another company no longer in business–can picture the logo but not the name) was asked by my mother to teach my older sister and I about wearing makeup. Why? Not because of the product, but because my lovely Grand-Aunt Rose had been an independent contractor with several doctors in the area, especially dematologist and plastic surgeons, because of her skill with using makeup to not cover or hide, but help those women with skin conditions, burns, or other visible scars feel good about how they looked, without looking they had been (to quote) “smeared with war paint by the professional”!! I have always felt very very blessed that such a wonderful woman taught me how to wear makeup; whether to slightly enhance (as you do) to full-on over the top glamorous. Her words of wisdom were along the lines of makeup is face paint toned down; beauty is how you act and how you feel! !